As a boy I never missed the X-Men cartoon every Saturday morning. 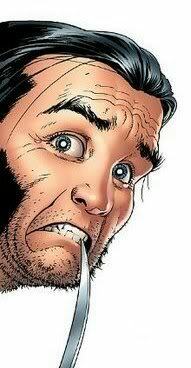 Compared to the other buttoned-down members of the X-Men, Wolverine was the dynamic anti-hero with a mysterious past. 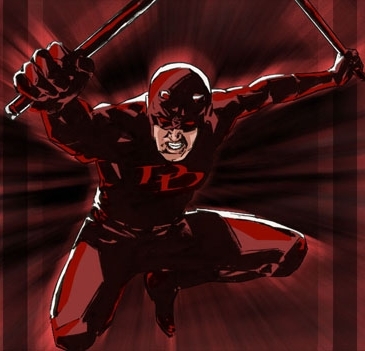 Despite his inner rage and desire for revenge against those who wronged him, he always remained a good guy. 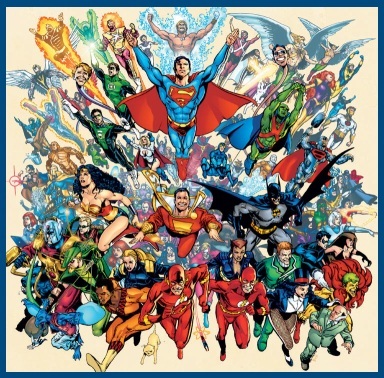 But he clearly had no problem colouring outside the lines to get the job done (or punching Cyclops in the stomach). Along with many other impressionable children of the nineties I became a big Wolverine fan. 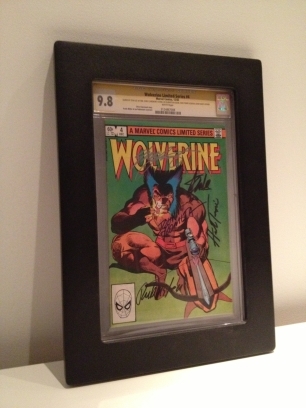 The most prized possessions in my collection are my signed copies of Wolverine #4 and #10 even though they are not the most valuable nor could they be considered true keys. Now to the present. It’s a good thing old Canucklehead has regenerative powers because he’s taken a lot of hits over the years. Hollywood has not been kind. The first Wolverine movie was beyond bad. The trailer for the new movie, simply titled “Wolverine”, really underwhelmed me. I fear it’s going to be another sub-par effort (although it would be virtually impossible to out-turd X-Men Origins: Wolverine). 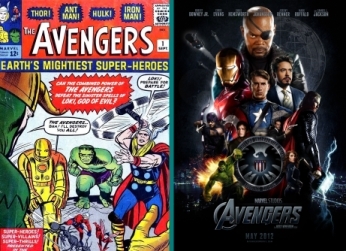 In comics, Wolverine remains one of Marvel’s most popular characters. However, there is such a thing as too much of a good thing. His frequent cameos and numerous team memberships has become a running joke. 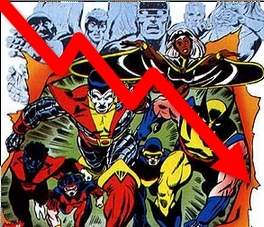 As a result, Wolverine has become diluted and overexposed to the point where he no longer makes a big impact. It remains to be seen how his character can be taken to the next level. For me, the last great Wolverine story was Old Man Logan. 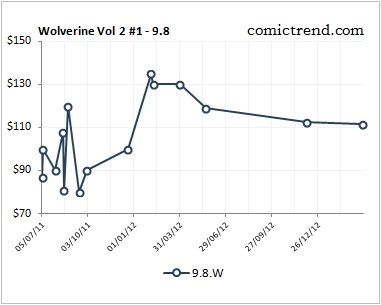 Much like the character, the values of key Wolverine have gone sideways or down over the last few years. Charts below. Supply isn’t helping. 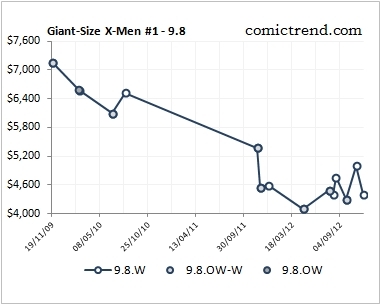 There are now almost 100 9.8 Giant-Size X-Men #1 registered in the CGC Census. 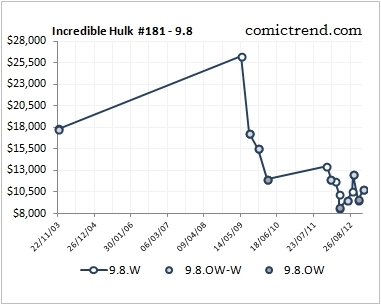 Incredible Hulk #181 is well supplied in the 9.0 – 9.6 grades. 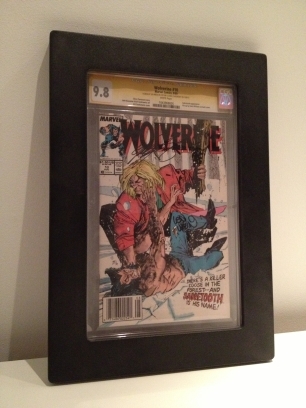 Over 1,400 9.8 Wolverine Limited #1s are out there and nearly 1,000 9.8s of the first issue of the 1988 series. 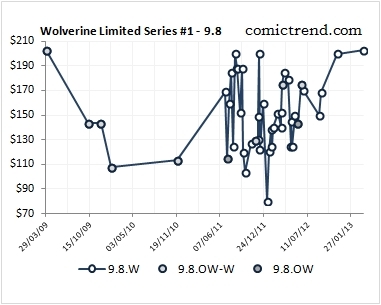 With ample supply of key issues, stalled character development, and what looks to be another mediocre movie, I don’t expect the value of any of Wolverine’s key issues to rise significantly from this point. That is really too bad too R.J. He’s one of my favorite characters. I haven’t bought but a few new Wolverine books since “Old Man Logan” that I have kept longer than just the time I needed to read it. 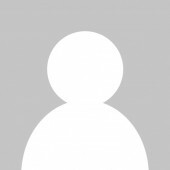 I’m looking forward to somebody doing something someday about putting him back on top. I think Wolverine needs a vacation for a while.